Room 21 is hard at work creating an expert book with information on their community. 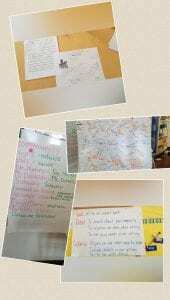 We have been busy planning and writing our ideas to create fabulous books that will show all our knowledge. The next step is to bring in science and build our communities using different types of materials. Stay tuned for these amazing projects. A Tribute to Earl Grey… by Room 16	Room 22: Do You Eat Junk Food?